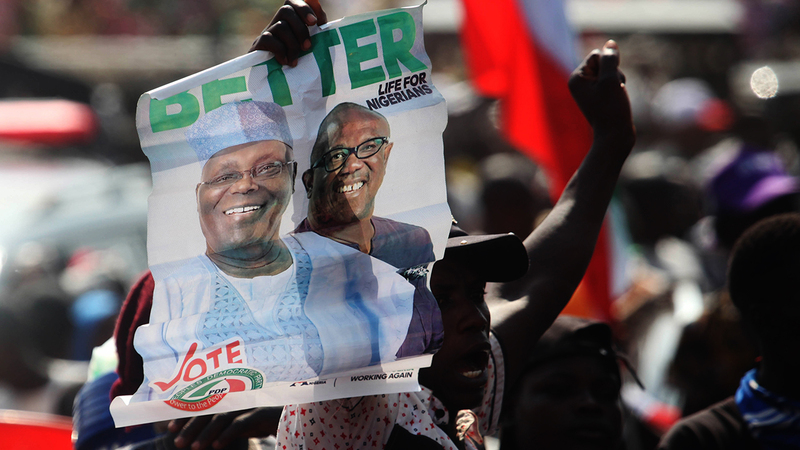 Nigeria’s Peoples Democratic Party (PDP) Wednesday threatened to pull out of in the national peace accord a few days to the presidential election. The 2019 peace accord, convened by a former Head of State, General Abdulsalami Abubakar, was to commit the candidates and the political parties to a peaceful poll. Ologbondiyan said the party is considering to pull out of the peace accord because of the “threats and incendiary actions by the All Progressives Congress (APC) and the Buhari Presidency”. This is coming in the wake of the death threat issued by Kaduna State governor, Nasir El-Rufai, a member of the APC, to any foreign power that tries to intervene in the forthcoming elections. El-Rufai Tuesday on NTA’s Tuesday Live programme threatened that Nigerian forces will kill foreign soldiers who intervene in the country’s election matters. A similar comment was also shared by a presidential spokesperson, Garba Shehu, in January who said as much as Nigeria welcomes interests and partnerships for free and fair polls, the government would not condone unfair interference in the country’s internal affairs. The missions said Onnoghen’s suspension could affect the general election and its aftermath. “This country belongs to all of us and no individual or group, no matter how highly placed, can subjugate other citizens or seek to appropriate any sort of absolutism to themselves,” PDP said.